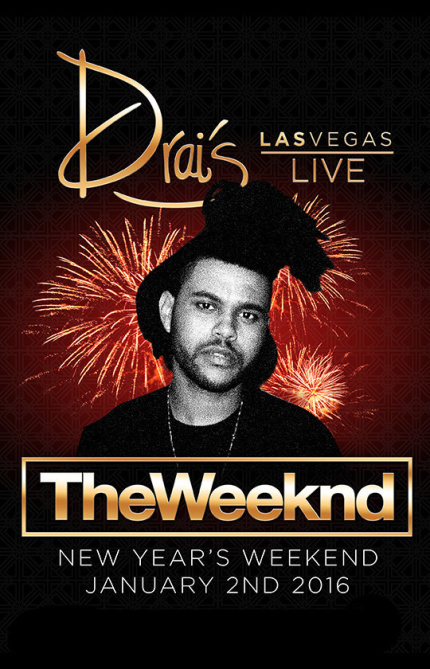 Contact City VIP Concierge 702.741.2489 for Table & Bottle Service and all things New Years Weekend in Fabulous Las Vegas. Abel Makkonen Tesfaye (born 16 February 1990), known professionally by his stage name The Weeknd (pronounced “weekend”), is a Canadian singer, songwriter and record producer. In late 2010, Tesfaye anonymously uploaded several songs toYouTube under the name “The Weeknd”. He released three nine-track mixtapes throughout 2011: House of Balloons, Thursday and Echoes of Silence, which were critically acclaimed. The following year, he released a compilation album Trilogy, thirty tracks consisting of remastered versions of the mixtape material and three additional songs. It was released under Republic Records and his own label XO.